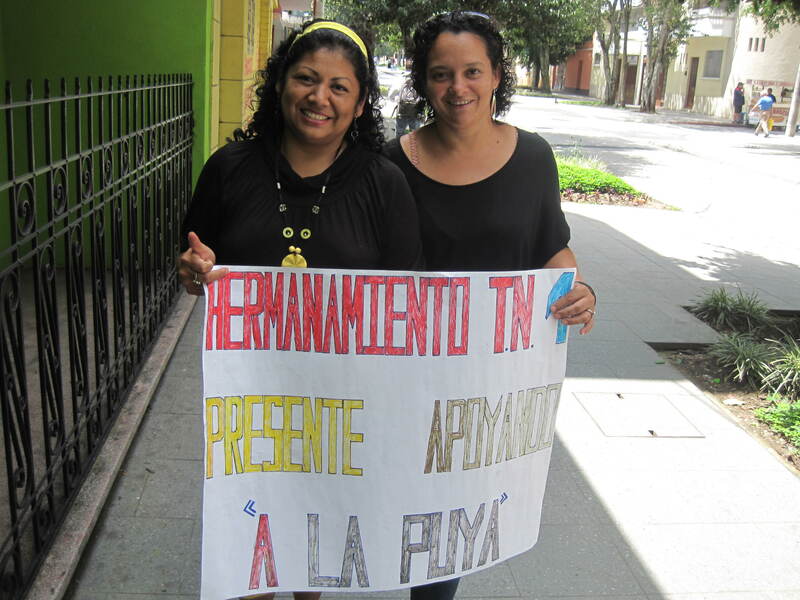 Representatives from Tierra Nueva I show their support for communities affected by mining. Representatives from Sister Parish communities across Guatemala gathered on September 20 and 21 for our bi-annual meeting. We filled the two days with community sharing, a prayer service and a workshop on self-esteem. 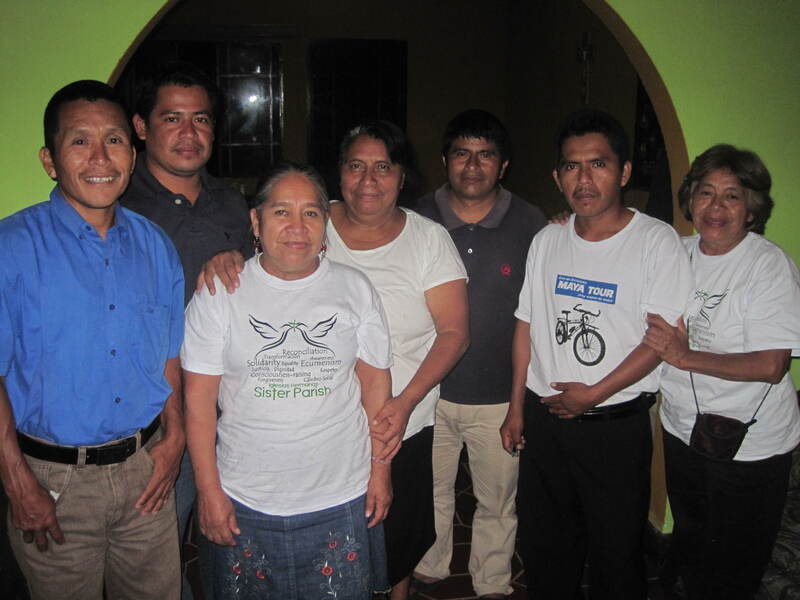 Representatives also participated in elections for the Guatemalan advisory board of Sister Parish. We thank the former board members for their years of service and welcome the new members’ energy and ideas for the next two years. Incoming and outgoing members of the Guatemalan advisory board of Sister Parish. We hope you will enjoy the pictures from the event and a brief video of the song ‘Juntos como hermanos‘ sung by the representatives from Tierra Nueva II, Guatemala. 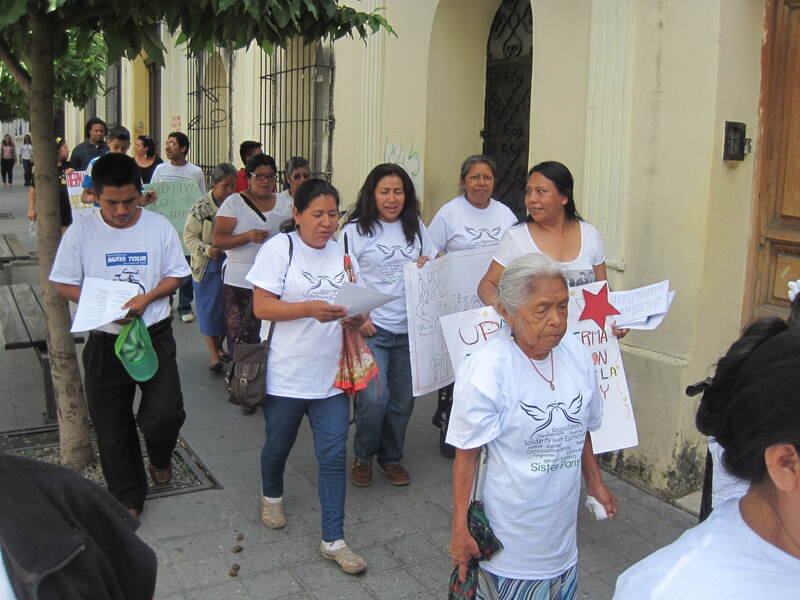 This entry was posted in General, Guatemala, Solidarity Walks and tagged representatives meeting, solidarity walk. Bookmark the permalink.